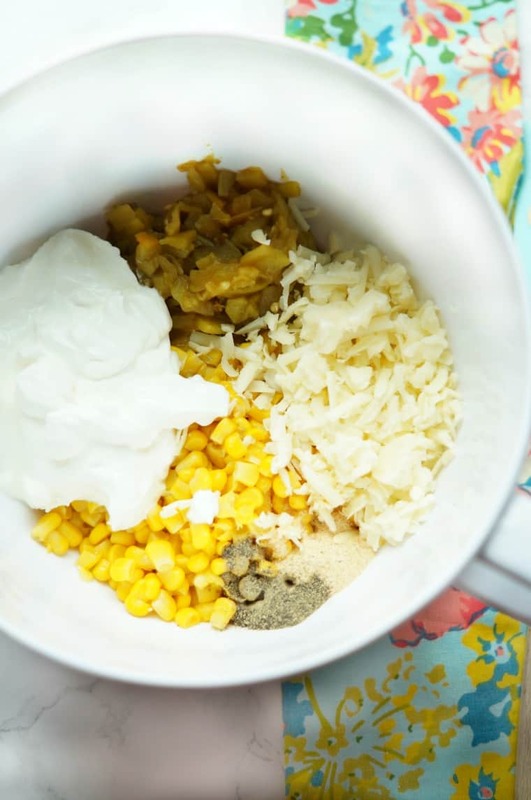 This Cheesy Green Chile Rice is creamy, cheesy, and so tangy from the green chiles! 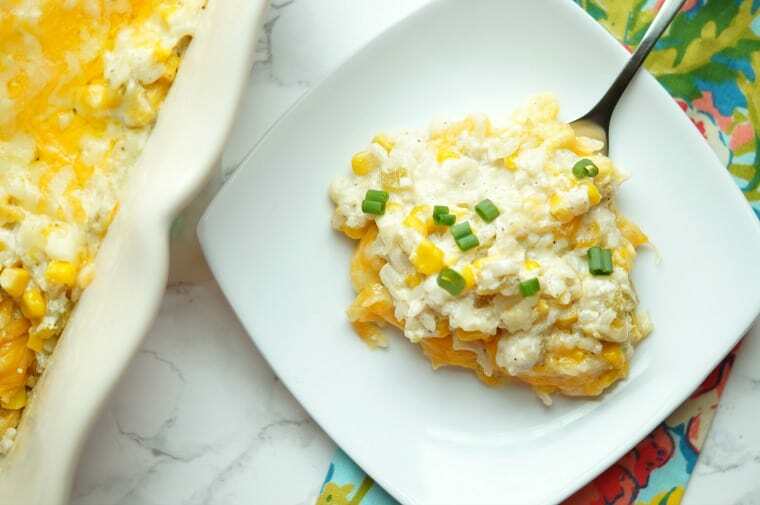 This will definitely be one of your family’s new favorite side dishes! Hi everyone! 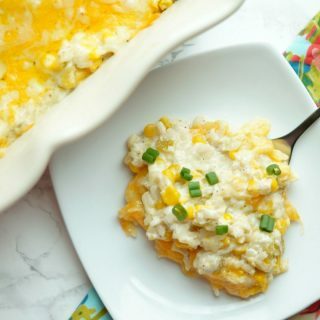 Amanda here from Old House to New Home, back to share one of my family’s favorite side dish recipes, Cheesy Green Chile Rice. If you are planning your Cinco de Mayo menu, you will definitely want to include this easy recipe! It is seriously good and I find myself craving this cheesy goodness all the time! In our pre-children days (which was also pre-Pinterest! ), I used to love and sit down and find new recipes to make. I would spend hours searching recipe food boards for new ideas and then print them out and put them all in a folder. The days my food magazines arrived were like Christmas! I would pour through them, looking for something new to make! 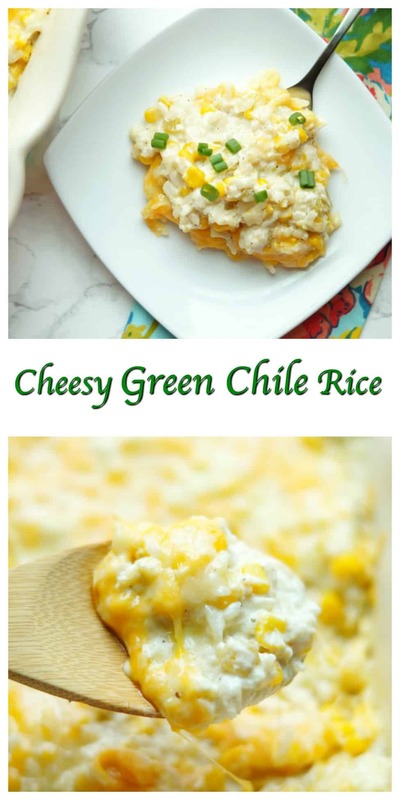 I found the idea for this Cheesy Green Chile Rice on a recipe board at some point, and I wish I could find the original source now, but it was so many years ago. I have changed and adapted the recipe over the years and think I have come up with the perfect mix of ingredients. 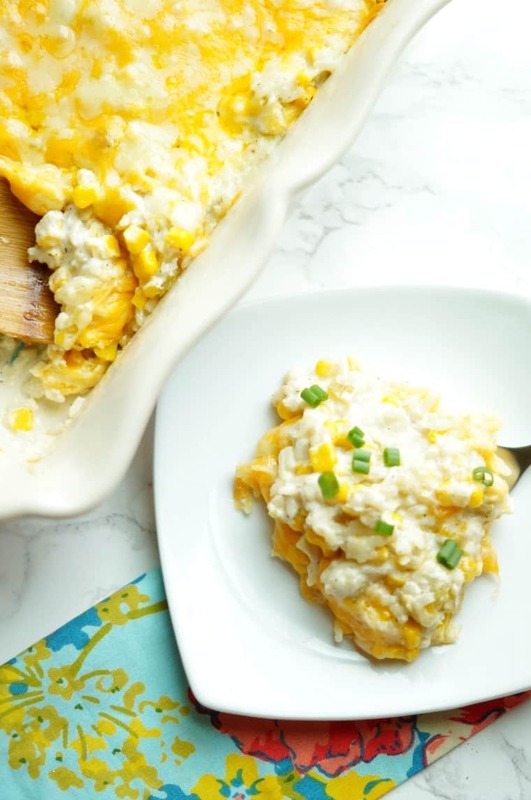 I love this easy rice dish because you literally mix everything in a bowl and bake. Green chiles add so much flavor to this recipe and it is one of my favorite ingredients to cook with. They are so tangy and delicious! You can use any type of rice you’d like here. I love to use the boil in bag ones to save time or you could cook long grain rice from scratch, its up to you! With Cinco de Mayo right around the corner, you will definitely want to add this recipe to your menu! It pairs perfectly with chicken, pork, or tacos! This dish doubles nicely so it is perfect for feeding a hungry crowd! You can mix this all up ahead of time too and refrigerate until you are ready to bake. 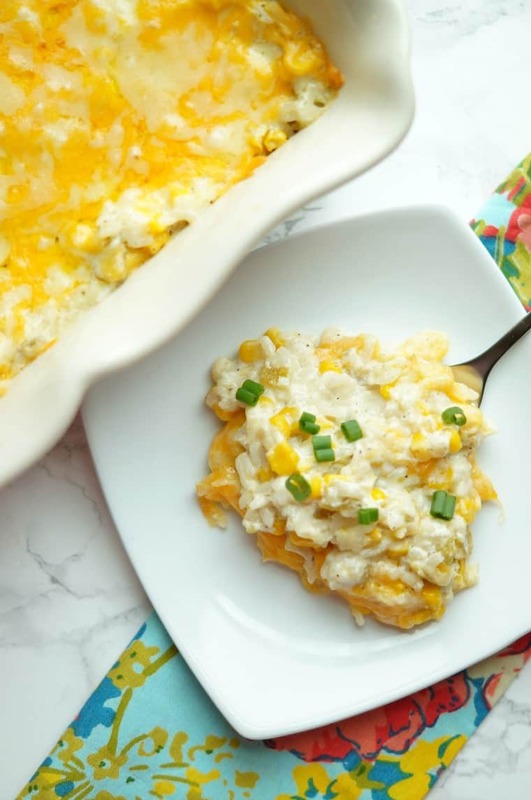 We love this Cheesy Green Chile Rice Bake and I know your family will too! 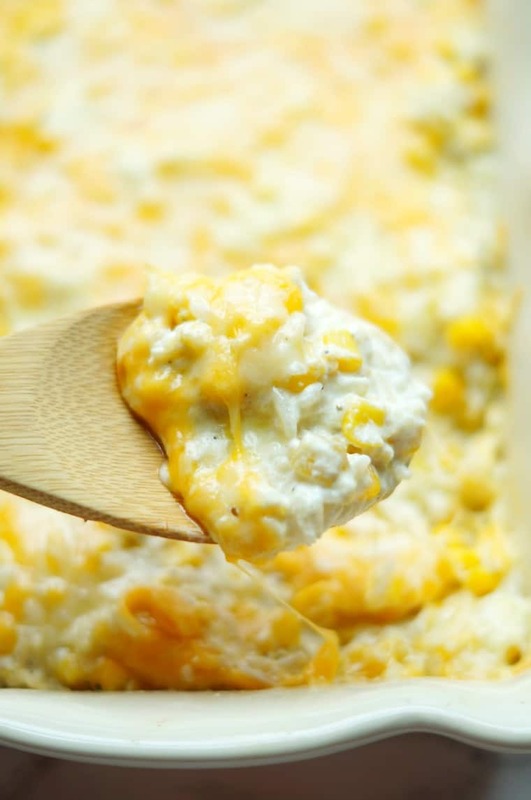 Cheesy Green Chile Rice is so creamy, cheesy, and full of flavor, thanks to the green chiles! You will love this Mexican Inspired side dish recipe! 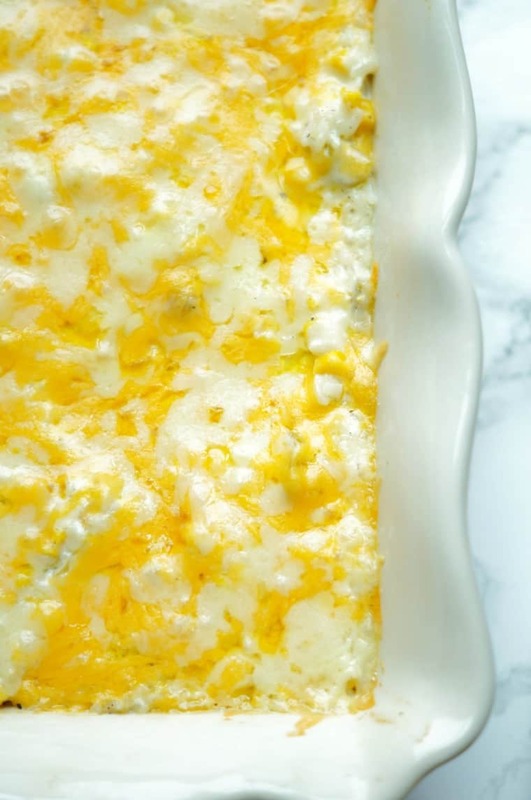 Mix all ingredients together in a mixing bowl, reserving one cup of the cheese. Add rice mixture to a large baking dish. Top with remaining one cup of cheese. Bake for 20-25 minutes, or until bubbling.